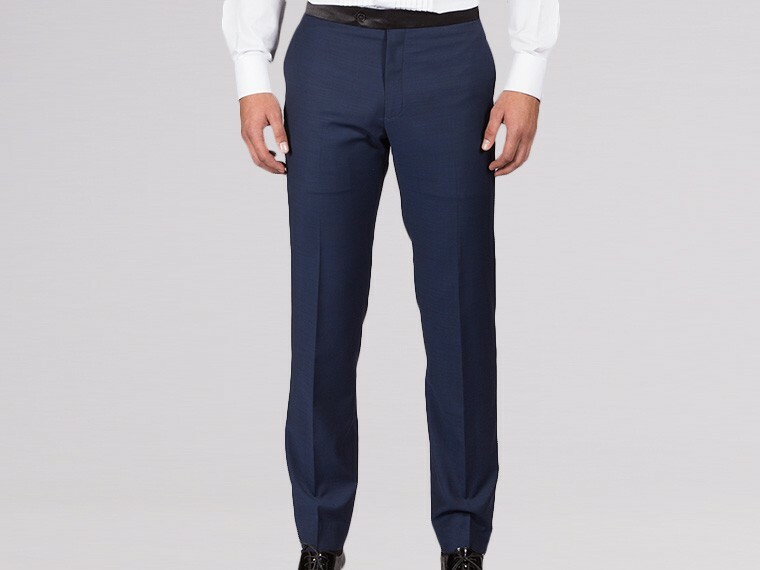 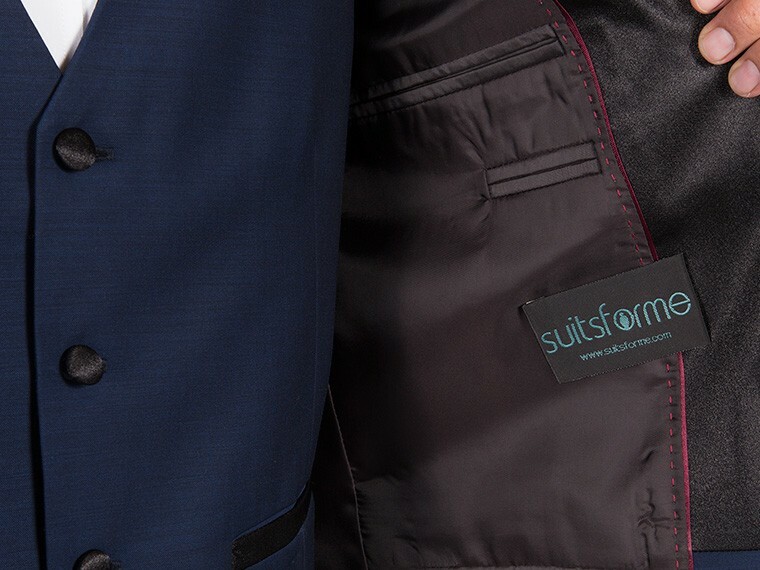 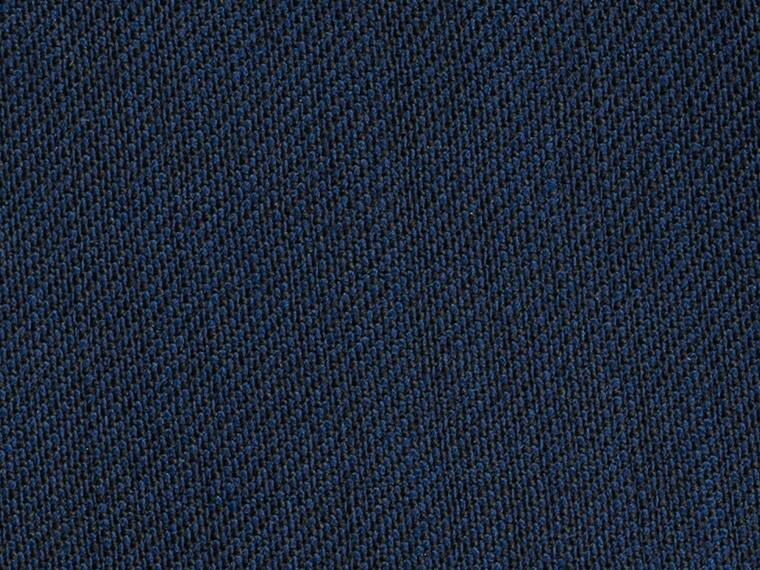 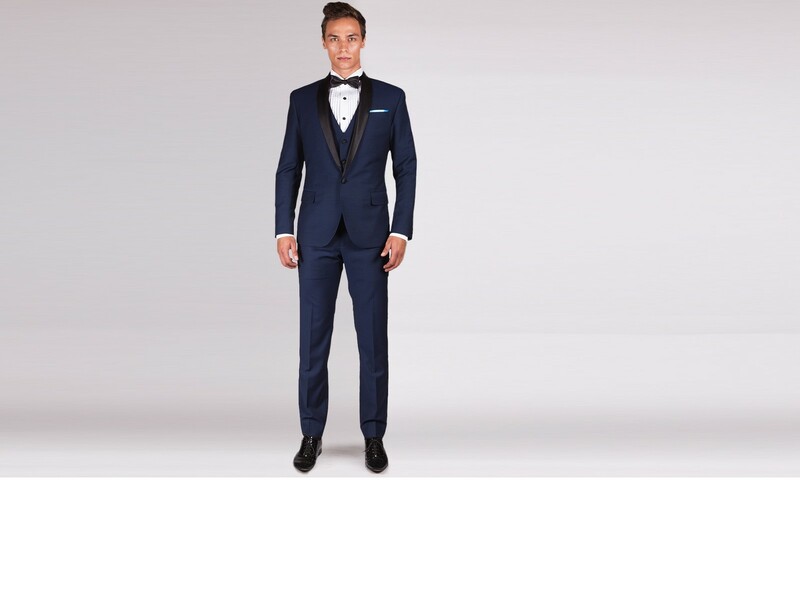 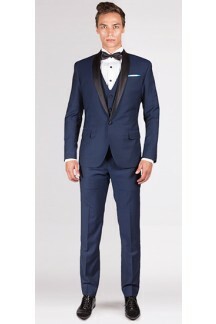 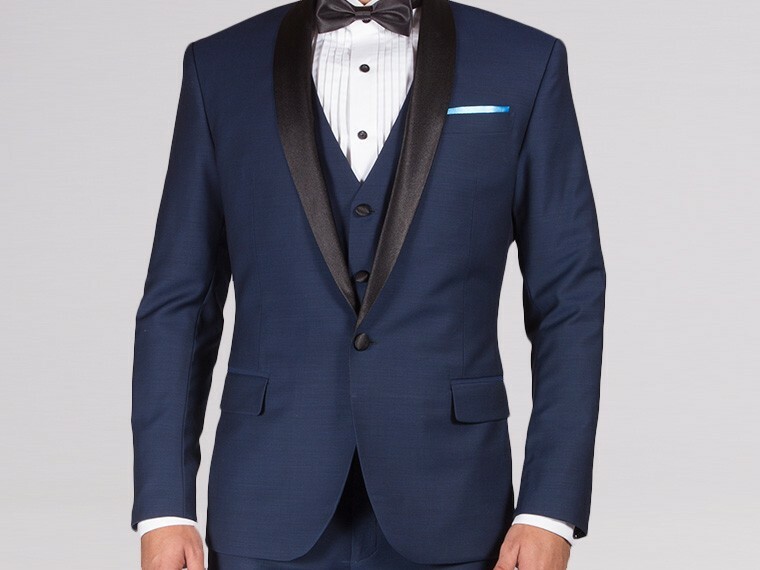 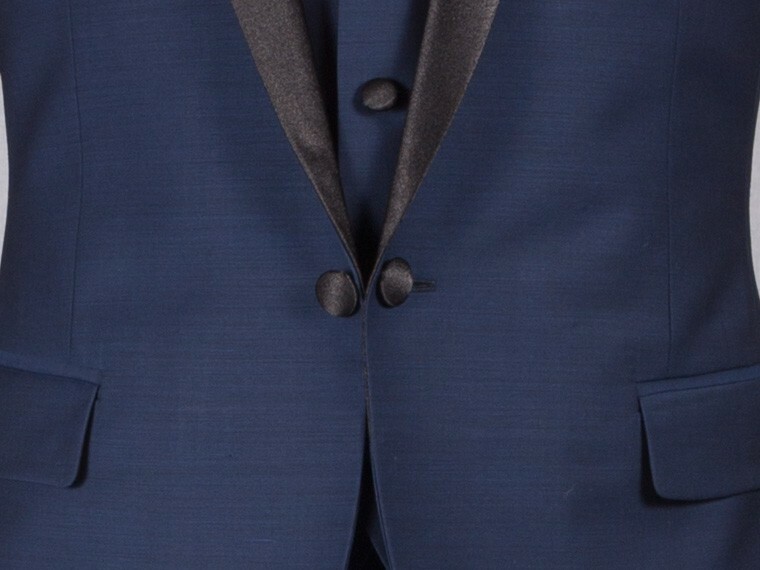 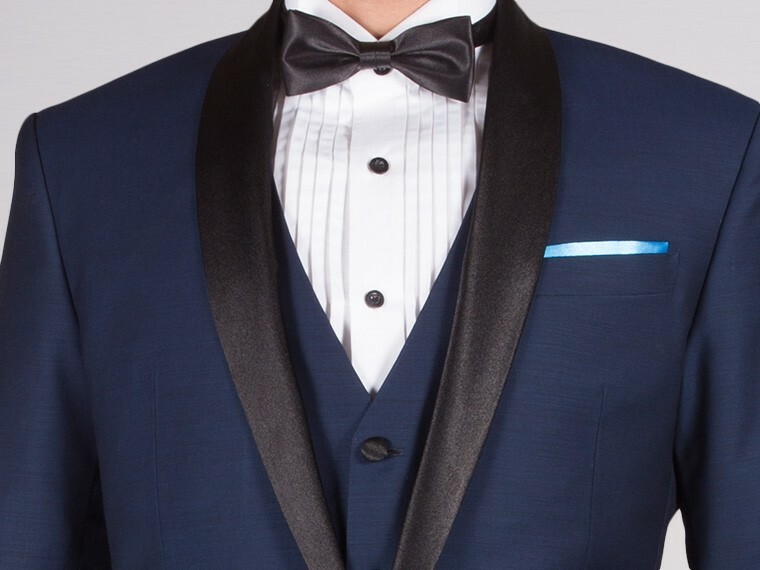 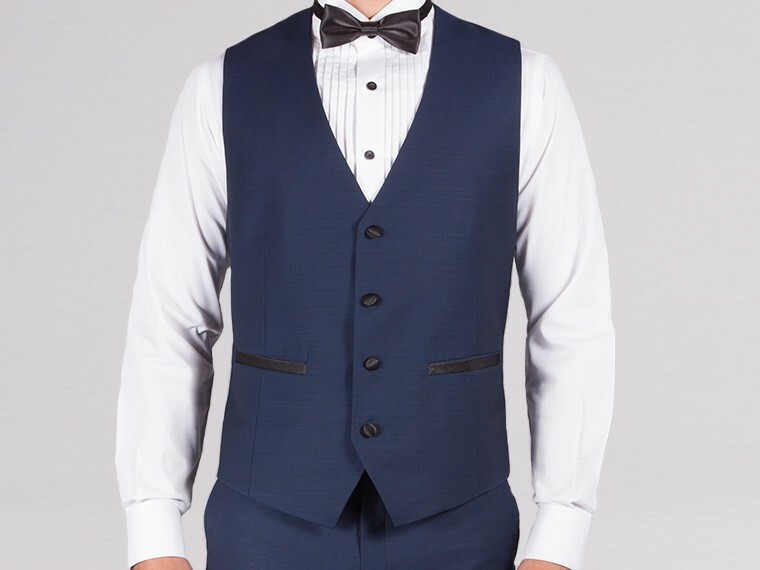 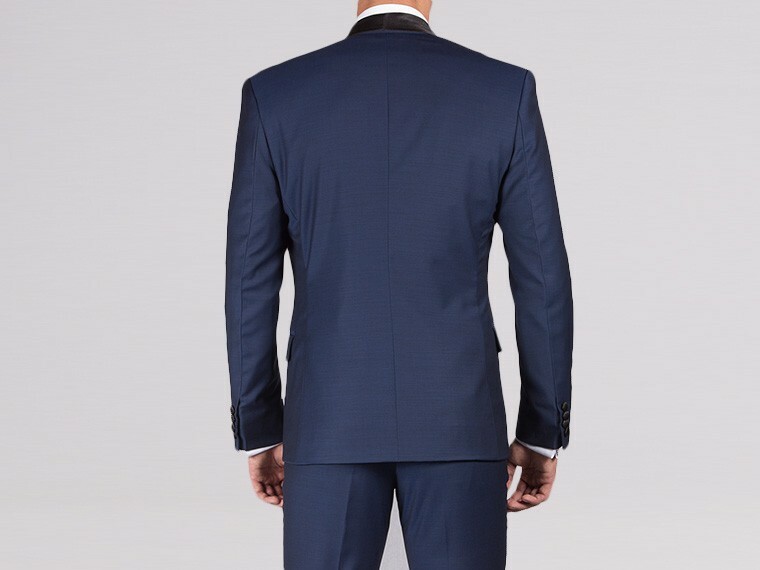 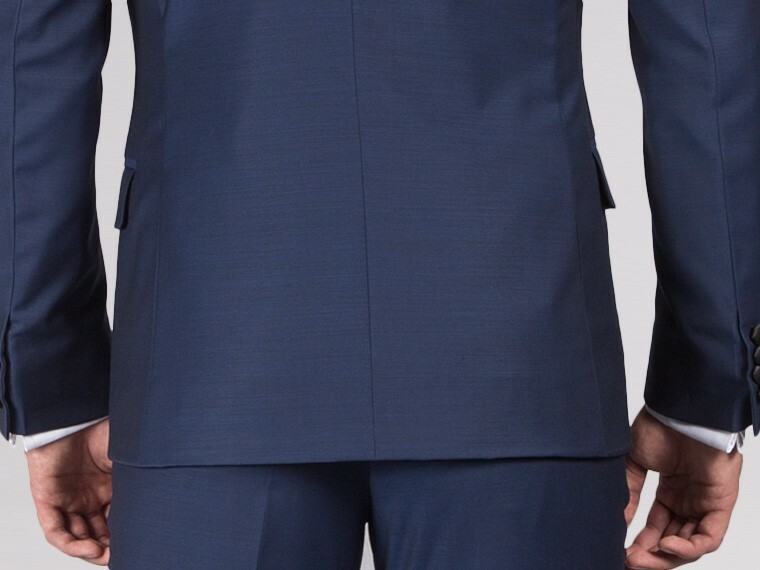 Incorporate a sharp modern look with this three piece precision cut custom Tuxedo in midnight blue. 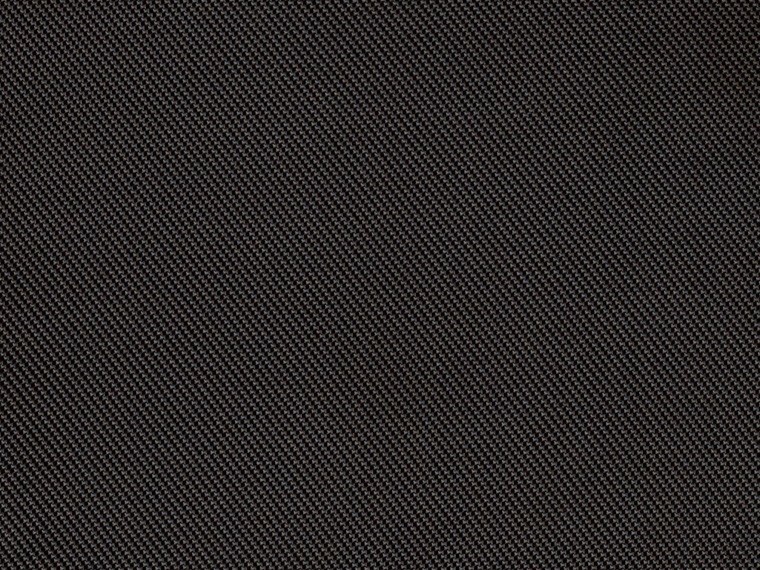 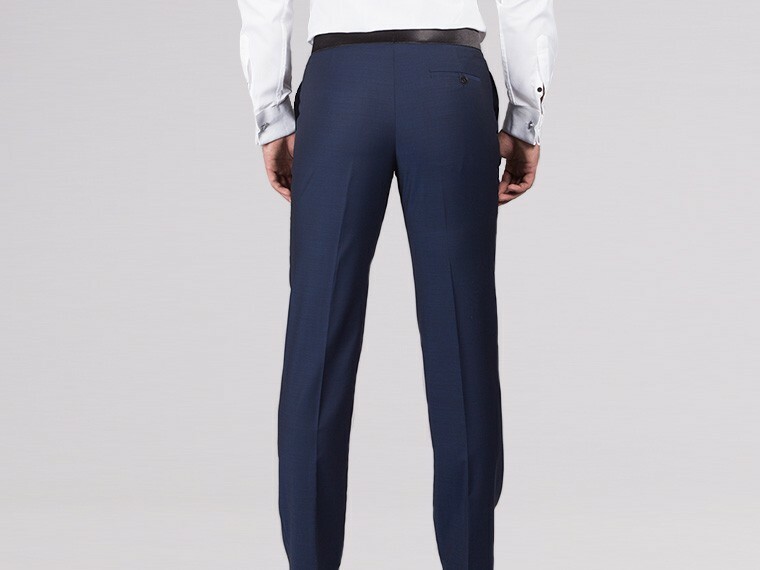 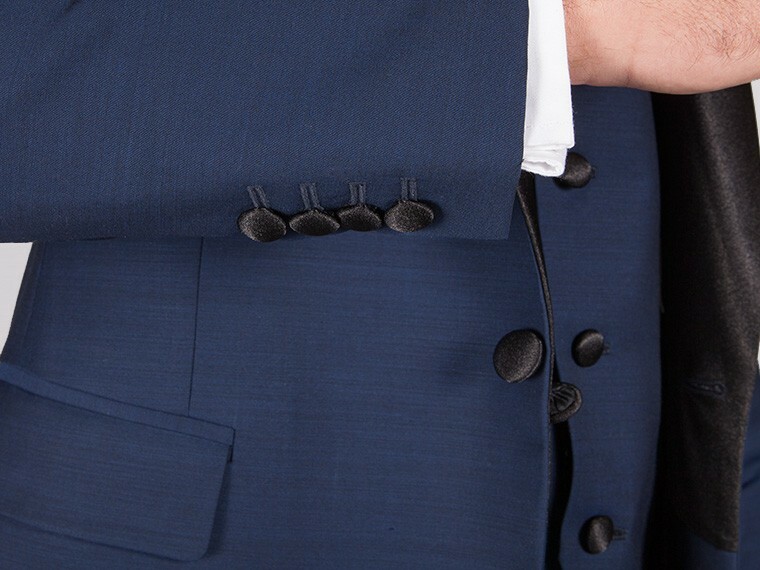 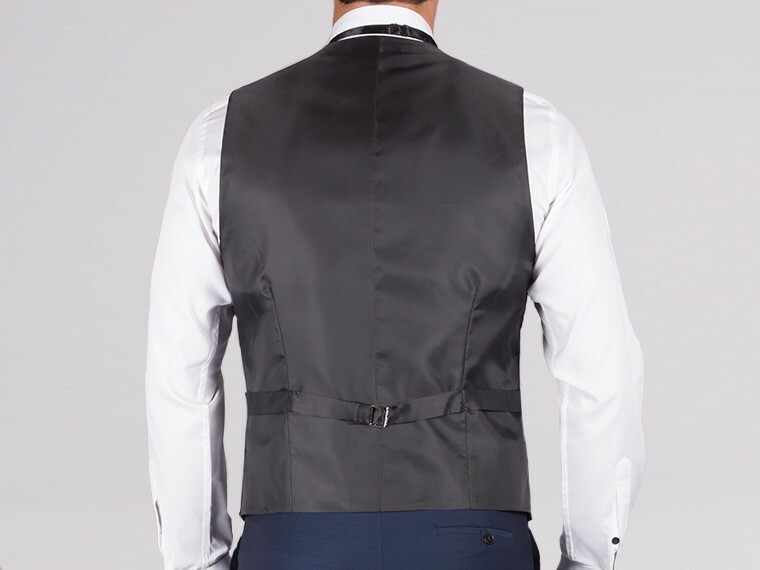 It features satin trimming on the lapel (shawl collar), pocket besom, button and pants waistband or outseam. 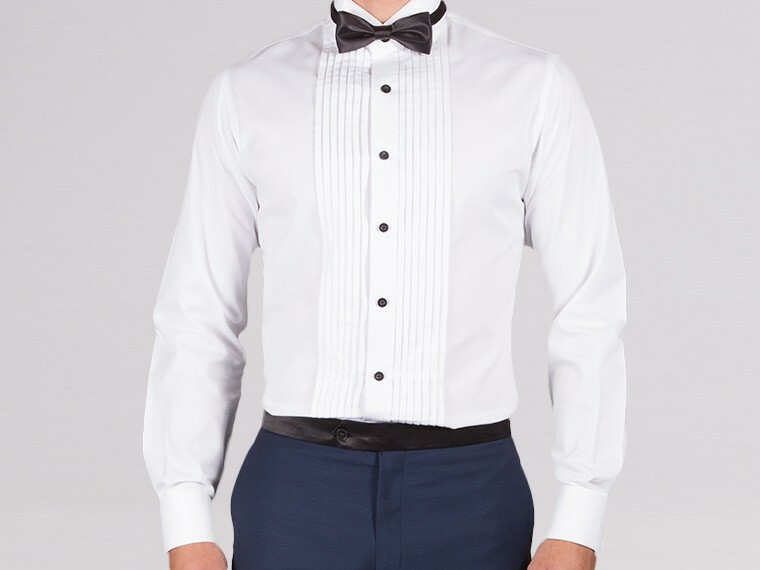 It is stylish and versatile. 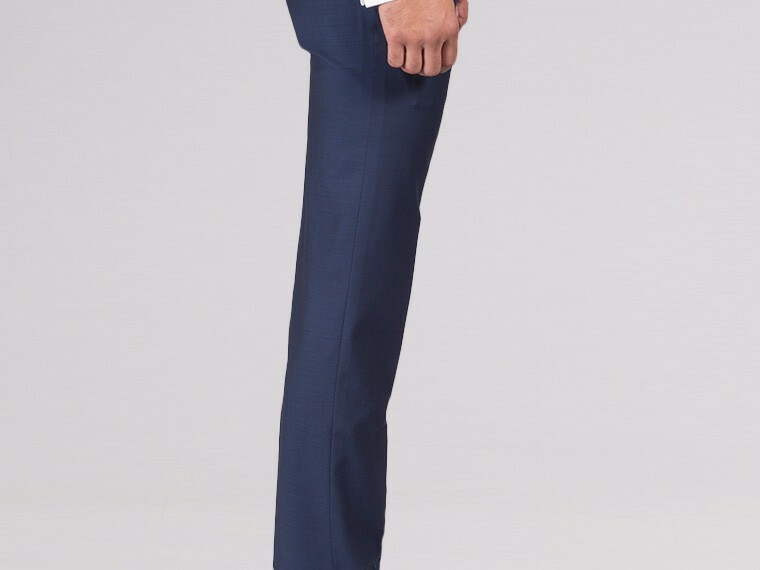 Dress it up with accessories that define your style and complete your look.